This photoshoot came together beautifully with a talented team of creatives. A special thank you to Woodpecker farm table rentals for coordinating and hosting this collaborative shoot. Their custom wood tables are gorgeous and were a dream to dress up! Decor & Florals - Ruffled Rose Co.
Love how the chiffon and tulle dresses compliment our tablescape and create such soft, delicate feel! Airy, light and delicate. 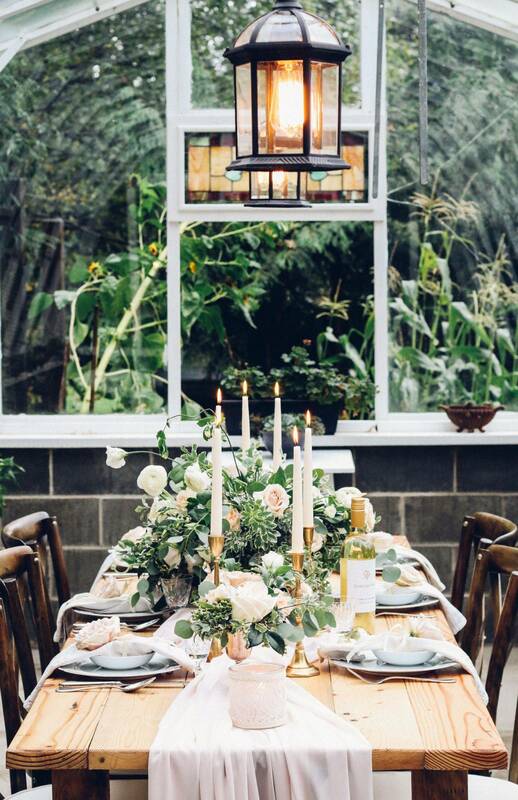 Loose, natural florals compliment the rustic wood table. 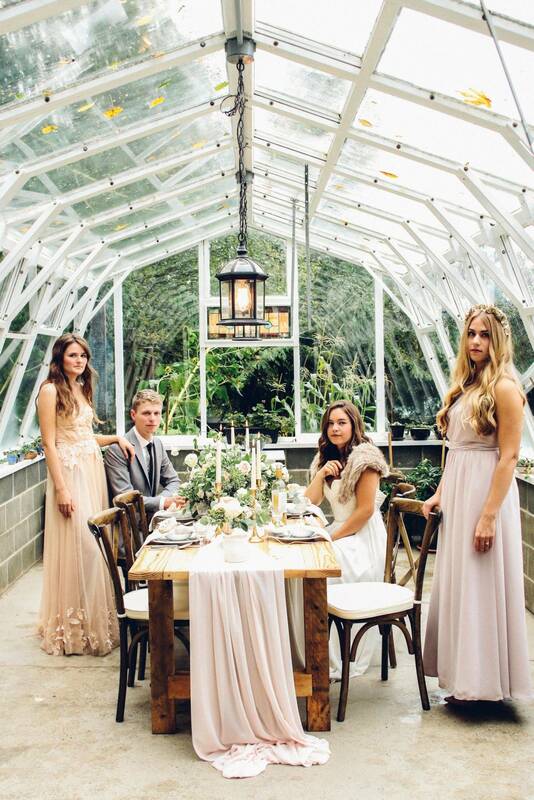 This shoot captures the perfect blend of rustic elegance! We are grateful to have been a part of this collaboration and work with such a wonderful team of wedding professionals. Photos by Maren Olivia Photography.